Have you ever wondered how much your car is worth? Well, now you can find out in no time at all by clicking on the Value My Vehicle tab on our website. Our car valuation service is easy to use, free of charge and represents no obligation on your part – and it provides a useful way of accurately ascertaining your vehicle’s current worth. With this information, you can then choose what to do with the money, should you wish to trade in your car. You can choose to invest the proceeds elsewhere or allow us to provide you with an unbeatable part-exchange deal. The latter option allows you to choose one of our fine Approved Used models or a brand new car from the Honda range. All you need to do is pay the difference. 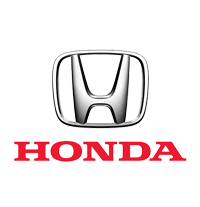 Honda is renowned for the superb build quality of its vehicles and the efficiency of its engine range. All of our pre-owned models offer the same high standards as their brand new counterparts; the only difference is that they cost even less. For a rapid and fair evaluation of your current car’s asking price, simply use our online valuation tool now. If you prefer, you can get in touch with us any day of the week by completing a contact form on our website. Alternatively, don’t hesitate to phone or visit our Gatwick Honda or Redhill Honda sites.